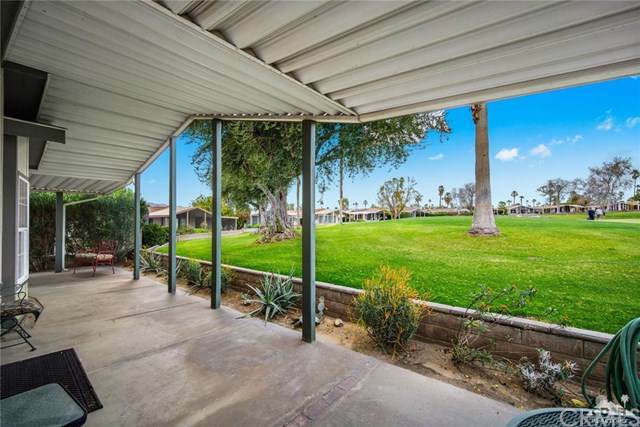 This bright, very well maintained double wide, drywall constructed mobile home sits right on the golf course with stunning views. 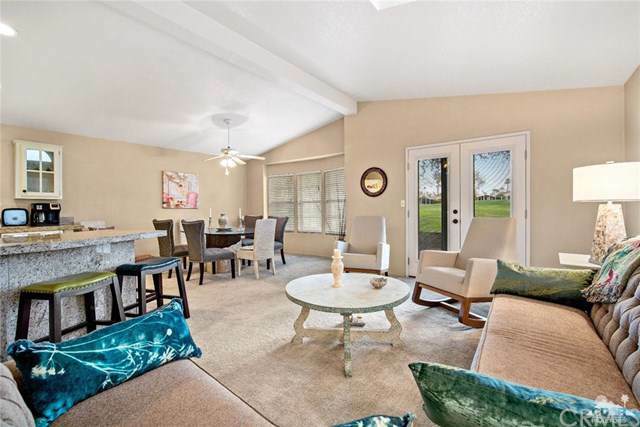 You may like to sit outside on your covered patio enjoying the action on the course or get cozy in your den in front of the fireplace. This home is spacious and well laid out at 1,368 SQFT and 2BR/2BA, with high ceilings & a RARE 2 car garage plus additional front patio area to accommodate 3 more cars. Suncrest is a 55+ park with not only a golf course, but tennis & pickle ball courts & 3 community pools & spas. 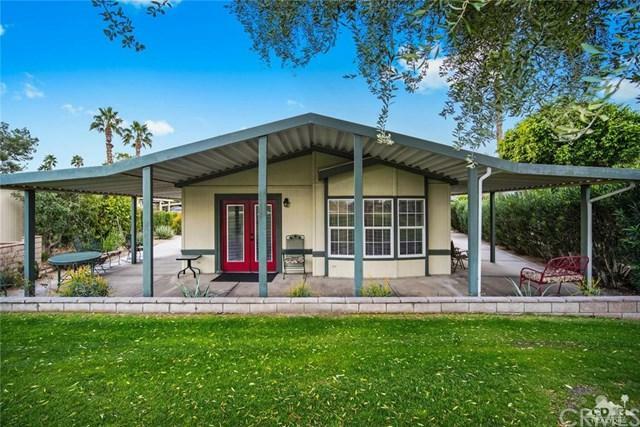 Centrally located in Palm Desert, very close to grocery stores, restaurants, gas stations, Eisenhower Hospital, and a short drive to El Paseo. 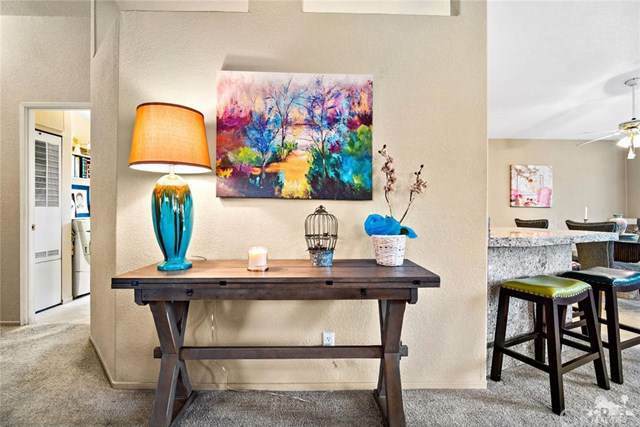 Great unit for a full-time or part-time resident. Allowed 2 pets per home, up to 18 tall & 30 lbs each. Builder Name Golden West Homes Inc.